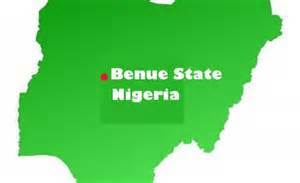 Benue State Governor Gabriel Suswam says if the economic crisis in the country continues unabated, many state governments may shut down next year. Suswam said this while reacting to questions raised over the non-payment of workers’ salaries in the state. He lamented the falling crude oil prices, which he noted has contributed greatly to the economic situation of the country. “…if the crisis continues, I’m sure so many states will be grounded next year,” said Suswam through his media aide, James Uloko. He however said the non-payment of salary was the situation in several states. He therefore called for a drastic measure to be taken to save the current situation, and urged the workers to bear with the state. Speaking on his political future, Suswam dismissed reports he may leave the Peoples Democratic Party (PDP) due to the automatic ticket granted serving senators, which may have thwarted his plan of running for Senate. He however said that he had already been screened to contest the senatorial seat for Benue North-East district, in line with the tenets of true democracy. He noted that giving automatic ticket is undemocratic and President Goodluck Jonathan, who is a true democrat would not indulge in such act. Not just the states but the country itself. Now, it is becoming very clear why many believe the country may break up in 2015. Add BH to the elections, then multiply by the global economic down turn and dwindling oil revenue which will be made complicated and worse by the well known threats of the Niger Delta militants and even non-militants to stop oil production if Jonathan looses the elections, the prognosis points to certain death for Nigeria. NIGERIANS PRAY. Its undemocratic to give automati ticket to senatots but its democratic for pdp to give it to mr president.Who is deceiving who in Nigeria?,God wl fight for d masses. @Suswam:if u claim allocation for October is 2.7b and salaries alone is 3b,what happens to ur IGR?In a nutshell,ur saying that u only depend on the federal allocation and nothing else.When crude prices was at its peak,u people told us same bunch of lies.Shame on u and those other lieing and corrupt governors.God will punish all of u.